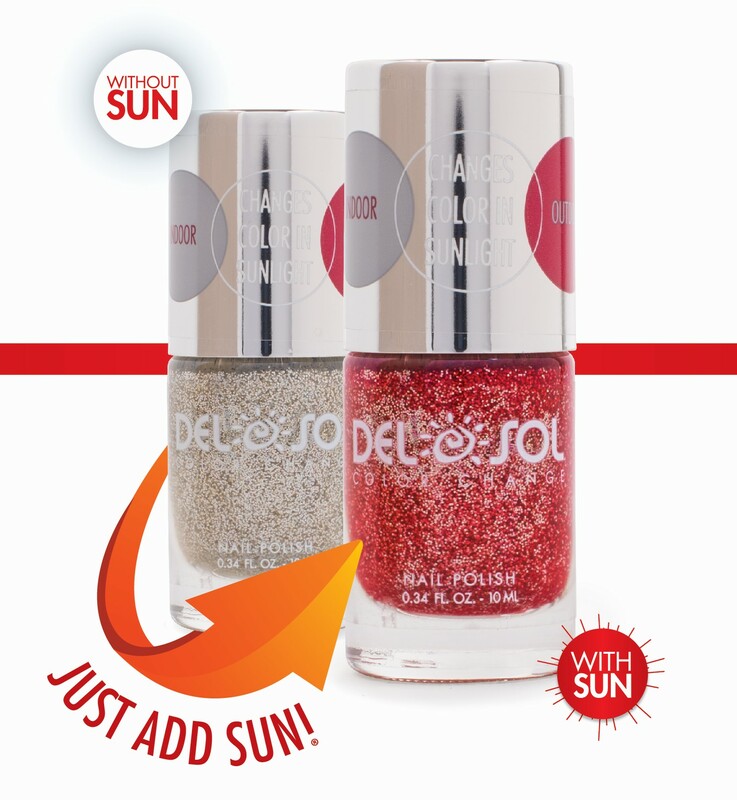 To help illustrate the point, here’s a review by Momma Nurse of Del Sol’s exciting nail polish, featuring all-new popular colors for any age and interest under the sun. The minute I saw this polish I knew that my daughter would love it, and was I right! I didn’t tell her that the polish changed color – I just asked her if she wanted to paint nails. She loves painting with several colors so I painted one hand in Del Sol’s Sunshine & Memories and the other hand in their VIP polish. I then told her we had to go outside and, as soon as the polish hit the sun, it started changing. She was amazed and couldn’t stop staring! This is definitely a hit at my house! The nail polishes offered are all so pretty and they all change colors! The nail polish is one color inside and then when you go outside the sun causes the color to change. It is so fun it brings out your inner kid! When I polished mine and my daughter’s nails I used two coats, however, one coat had plenty of the beads and glitter. I also did not use a top coat, so you could feel the texture of the polish, however, the polish is still able to change colors even with a top coat. Sunshine & Memories is a clear polish with pink colored beads. When you go outside, it changes into a vibrant purple! The beads changed to a purple color, too, making it appear as one color. This fun color would be perfect for any pretty princess in your life! There are so many different colors it may be hard to choose! All polishes are toxin free and never tested on animals. All polishes also have a lifetime color-change guarantee so you can rest assured that your polish will always change! VIP is a clear polish with tons of sparkly silver glitter inside. When you go outside, the clear changes into a pretty red color where the sliver glitter makes it pop! This color was my favorite out of the two, and I think this would be a perfect color to wear for any occasion! Read more from Momma Nurse here.